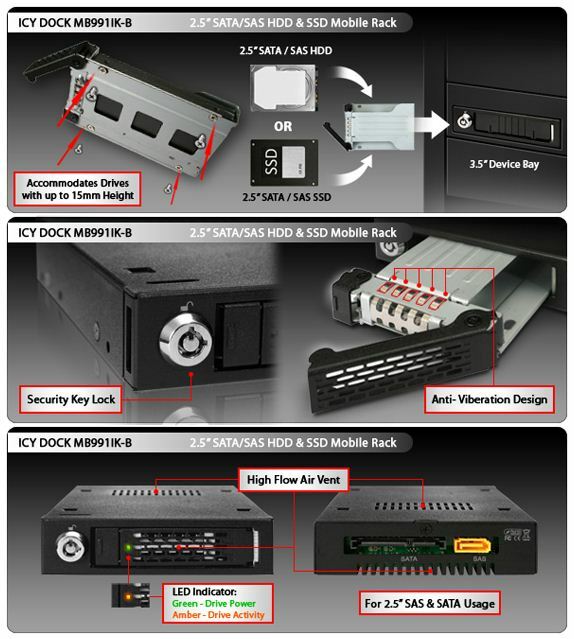 Introducing the Icy Dock MB991IK-B 2.5" SATA/SAS Mobile Rack for use in 3.5" device bays. This product is constructed of heavy duty metal to hold up in the toughest of conditions. 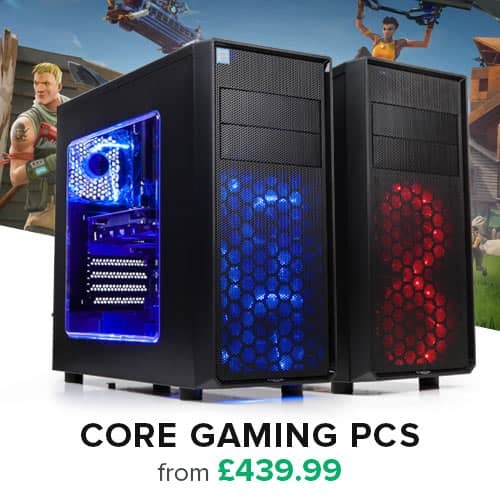 It includes ventilation slots on the front, back, top and bottom for maximum airflow to keep both SATA and SAS drives running cool, and an LED is placed on the front of the device to give the user drive status at all times. The MB991IK-B also utilizes our brand new EZ Slide Mini Trays, making drive interchangeability and maintenance completely hassle free. The trays are built using full metal so that they are durable for many lifetimes, but will not weigh you down when transporting your data from system to system. 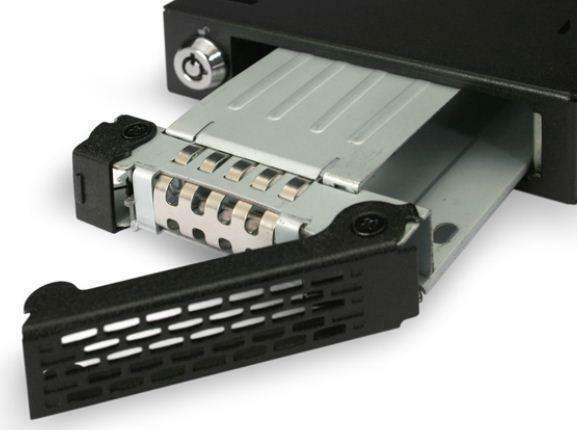 And featuring a full cage design, the added top drive cover provides added protection while moving the drive. The trays are also designed to accommodate 9.5mm, 12.5mm, and 15mm drives giving you the ultimate universal 2.5" hot swap bay. 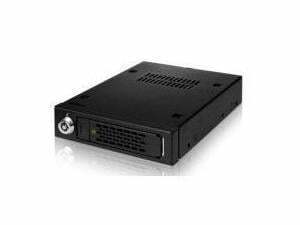 Utilizing its small form factor, The MB991IK-B is perfect for use in industrial PCs and mobile DVR systems. It is built to function in the most demanding conditions including military and law enforcement deployment, as well as manufacturing conditions such as embedded control systems and factory automation systems. The heavy metal design makes it ideal for placement in rugged environments. It also includes a key lock to safeguard sensitive data such as security recordings. 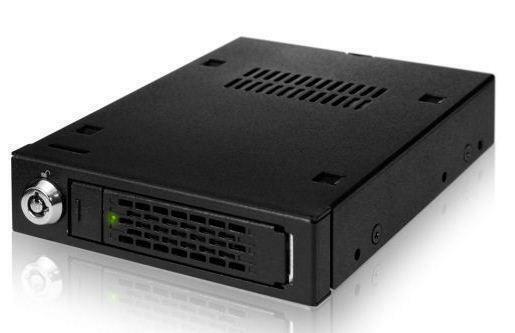 Small form factor perfect for IPC and mobile DVR systems. Dimension (L x W x H) 5.32" x 4.00" x 1.01"